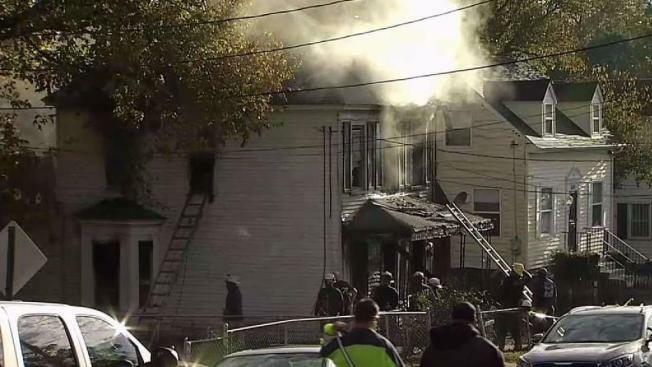 A massive fire that consumed a vacant home and killed two people early Thursday morning was ruled an arson by Prince George's County fire officials. Police also identified the two people found dead inside the home. Their bodies were so badly burned that investigators had to determine their gender by autopsy. Police revealed Tuesday that two men died in the fire from smoke inhalation. Prince George's County fire spokesman Mark Brady said the victim's bodies were discovered after the fire was extinguished. They were so badly burned their gender had to be identified by autopsy. City officials said the police department has been called to the vacant home several times in the past. The house was one of almost 150 foreclosed and abandoned homes in Seat Pleasant. According to tax records, Bank of America owns the house, which was supposed to be empty. Police will release the identities of the victims after their families have been notified. They are also working to determine who set the fire.